Alright y'all, Sxsw 2011 has officially drawn to a conclusion, which means I can do my laundry and dishes and scoop Miss Paws' litter box. It also means I can do the stuff I should have been doing since last Wednesday, for instance, did I tell you I was going to the MtvU Woodie Awards? Yeah, I totally went, and not only that for some reason I was granted press credentials, which means I got to "work the red carpet." So, I put on my Jessica Rabbit dress and headed on down to the Austin Music Hall armed with a Flipcam, a point-and-shoot, my digital voice recorder and smartphone. I really had no plan of action, being an Austin music blogger I have very few opportunities to experience a red carpet scenario. It seemed so foreign. First, we were all gathered up and assigned numbers based on our importance, I was give the number 52 but the numbers went all the way up to the high 70's, so I wasn't in the bottom of the pack. The ironic thing was the lower the number, the older the person wearing that number. I suppose that's because the heavy-hitters have professionals with years of experience where as I have...a blog that my Mom really likes (mostly). So, basically the way that it works is they put a label at your feet so the people walking the carpet know the name of your publication, then a press-agent comes down the line and discretely whispers the name of their client with a brief bio and asks if you want to talk to them. It was one part funny, one part sad and all interesting. A lot of the artists I hadn't heard of and/or knew very little about, while a few felt like old friends. I tried asking questions that would garner non-rehearsed responses. I ended up mostly asking the same family of questions revolving around the artists last day-job. So, here's the highlights and low-lights of my interviews. I didn't edit them so you'll hear my goofy voice and stupid laugh, also I didn't have a camera person I was just holding my Flipcam sort of beside my head so a lot of the shots are framed poorly and are shaky. With that all said, I give you the lovely Matt and Kim. Matt and Kim was actually the last interview I did, so I'm posting these in reverse order. In other words my interviewing skills will get worse as you scroll down. Although, you can already tell from the Matt and Kim interview that my blessing and curse is I get just downright chatty and the interview format sort of devolves. That's part of the reason I have such a hard time transcribing interviews. Luckily, everyone was cool with the Flipcam. This Eliza Doolittle interview was funny to me for a couple reasons. 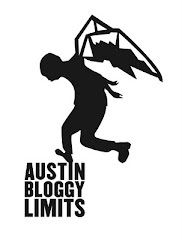 Firstly, her press agent was walking down the line reading the names of the media outlets and he paused at AustinBloggyLimits and asked me about the name and what is it, who is it etc. I told him it's me and he said, "I like you, do you want to talk to Eliza Doolittle?" and I was like, "sure." The other thing that makes this interview funny to me is I asked her about her styling and then didn't show what she was wearing. Trust me, it was a valid question. Ok, so I really didn't know much to anything about The Cataracs and I wasn't even planning to interview DEV but this ended up being one of my favorites. I really liked their answers and it was just fun to chat with them. For those of you who don't know, they are featured in that Fly Like a G6 song. I really love Two Door Cinema Club and I think this interview started out well but then I just sort of went off the deep end for some reason. Did I really need to bring up kitty-cats and Care Bears? Was it wise to insult Irish cuisine? Probably not. Oh Land is beautiful to look at and her music is really gorgeous as well but this was one of my first interviews and it really didn't go that well in my opinion. Although, it went better than the one I did with Nic Harcourt, which I won't even be posting. So, there you have it. There's several reasons why Bloggy should not be allowed on a red carpet. As far as the show itself, it was cool to see a production like that behind the scenes. The performances were great, Sleigh Bells with a marching band was my personal highlight and I'm glad I can say I saw the Foo Fighters perform live. All in all, if they do it again next year I hope they allow me back and I hope they do it before or after SXSW so I don't have to miss any official showcases.